People often complain that the video bought from iTunes is locked with DRM, so they can hardly do anything with it. It’s a pity that you can’t share the M4V movies with your friends or play them on other portable devices such as PSP, Zune, Creative Zen, Sony Walkman, and smart Phone and so on. If you bought some m4v movies from iTunes Store because they are DRM-protected. Then you need some method or program to remove the DRM protection from M4V movies. Is there a program that can remove DRM video without extra charge? Here we will tell you the best way to removing DRM – using the best DRM Remove software. This software will help you remove DRM from all kinds of protected videos, and the interface of it is straightforward and clear. 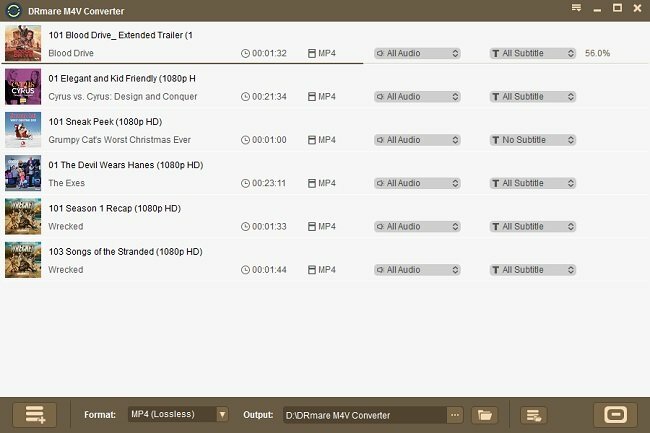 DRMare M4V converter is reliable DRM m4v converter for windows to remove DRM from M4V and convert them to DRM free video. The output is preserved with 100% original quality including subtitles and audio tracks. It is the professional DRM remove software to remove DRM from iTunes and remove DRM protection from m4v and iTunes movies and kinds of music in a legal way. This software makes it easy to remove DRM protection from video and audio files and can also convert DRM protected video or audio files to regular unprotected formats that can be played on any device and freely copied without any limitations. Fully supports iTunes9, iTunes 10. Remove iTunes fairplay DRM legally. Not only remove DRM video protection but also movie converter and music converter. Non DRM files can be playable on various devices such as TV, Gaming consoles, all IOS devices and etc. Easy to use and elegant user interface. Note: This program works with all MP3 players like iPad, iPhone, PSP, Xbox, and mobile phones like Blackberry, Nokia, Motorola, Samsung, Google Nexus, HTC, LG, etc. It can also be used in iTunes DRM removal. 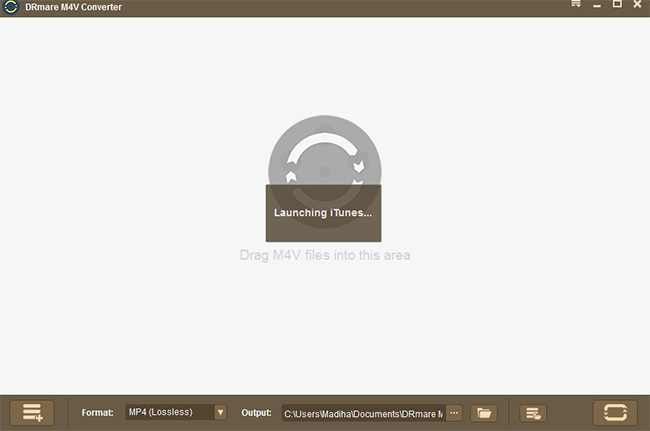 As known to all, M4V is used in iTunes for TV episodes, movies, and music videos encoding, and is always with DRM copy protection. Follow the steps to remove DRM from M4V using DRmare M4V Converter? How to Remove DRM from M4V using DRmare M4V Converter? Download DRmare M4V Converter, install and launch it. Add DRM video files: Once the software is downloaded on your PC, run DRmare M4V Converter and click on “Add” button to add the DRM protected files from your Itunes library. Setting output format & Output folder. Choose your output format and output destination folder on your PC. Convert: Now you have done with all the setting, it’s time to click on “convert” button to start to remove DRM, that’s all. OK! You have done! You can make full utilization of your videos from iTunes store for the DRM protection. What’s more, you can likewise remove DRM from for the other files using the same steps aforementioned. DRM M4V Converter for Windows is the best program to convert your itunes DRM files and it works very fast in any windows computer. One of the outstanding features of this program is it can convert videos in the batch where you can drag all of them and start the batch conversion process. This feature will help your save lot of time and increase your productivity. The software company provide free support and upgrades. They also have 60 days money back guarantee. So don’t hesitate and have a try to remove DRM from m4v or music by using this powerful software!